The Meppershall Summer Fair takes place on Saturday 28th June 2014. The Meppershall Summer Fair is a fantastic (and free!) one-day event that plays host to an eclectic mix of activities and events and has something for all the family. Taking place in the field behind the village hall, immerse yourself in the Lifestyle Marquee with cookery, flower arranging and make-up demonstrations, jewellery crafts and accessories. Or why not tap into your inner artist and have a go at watercolour painting? And if you’ve got a taste for more sartorial indulgences you can always get a bit of fashion guidance. There’s an outside arena where you can marvel at impressive dancing displays, ramp up the K9 cute factor with the Scrufts Dog Show, or exert a bit of muscle in the Tug o’ War. There’s plenty to keep the kids entertained too with a raft of fun activities, including rides, face painting, airbrush tattoos, a soft play arena, and drawing competitions. There is also plenty of food and drink to sustain you through the day with a marquee serving tea and cakes – or, for those partial to a beverage or two, a beer tent. With classic motorbikes and cars and a chance to have a go at archery, you’re guaranteed an action-packed, fun-filled day that the entire family will enjoy. Bedfordshire is a wonderful county, full of beautiful countryside such as Chiltern Hills and Marston Vale, and delightful towns and villages. In 2013, Wodburn and Harrold made it into the Sunday Times best villages to live in Britain list. 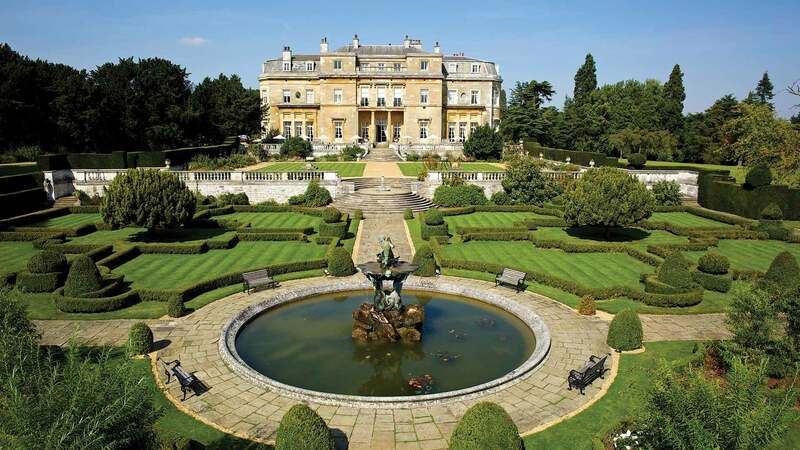 There’s a cornucopia of places to eat, drink and shop, and an awe-inspiring range of cottages and impressive stately homes (Woburn Abbey and Wrest Park, to name but two). There is also an exciting range of things to do to keep the kids entertained, such as Mead Open Farm and ZSL Whipsnade Zoo, whilst the Priory County Park is a first-class educational centre with activities for children of all ages. Bedfordshire is also the birthplace of the Church of England, ‘The Pilgrim’s Progress’ author John Bunyan, and Ronnie Barker. It’s also a county steeped in history. Catherine of Aragon was incarcerated at Ampthill, bandleader Glenn Miller once broadcast from the Corn Exchange in Bedford, and Winston Churchill made an inspiring speech at the Luton Hoo. If you’re a keen walker or cyclist, there are plenty of countryside and cycles ways to explore. The lakes are well suited to enthusiastic anglers, and bird watchers can keep a look out in the various parks. Bedfordshire also hosts plenty of famous cultural events too, including Carnival and Mela (the biggest one-day event in Europe) in Luton, and the Canal Festival in Linslade. Where can I stay in Bedfordshire? Match the fun of the Meppershall Summer Fair and the history and culture of Bedfordshire by staying at unrivalled and opulent accommodation. At Pride of Britain we have luxury accommodation that offers unrivalled quality, comfort and outstanding hospitality in the Bedfordshire area. In other words, staying at a Pride of Britain hotel is an indulgent treat you’ll never forget.